Landlocked and with approximately 80% of its population living in rural areas, Malawi’s economy is largely structured around its agricultural sector. Agriculture accounts for more than one third of the Malawi’s gross domestic product (GDP) and 90% of its export revenues. Tobacco alone comprises over half of Malawi’s exports. But although the tobacco industry brings in a significant amount of foreign capital, the rapid growth of Malawi’s largely unregulated tobacco industry raises questions about the health and wellbeing of the industry’s workers. Although Plan International’s campaign against the use of child labour in Malawi has successfully deterred larger farms, small-scale farms continue to exploit children. A study by the group revealed the true extent of such labour, finding that “37% of children aged between 5 and 15 were involved in labour”, and that “of these, 53.5% worked in agriculture – including fishing, forestry and hunting – but most were working in tobacco production”. Children earn approximately $0.17 for working 12-hour days. 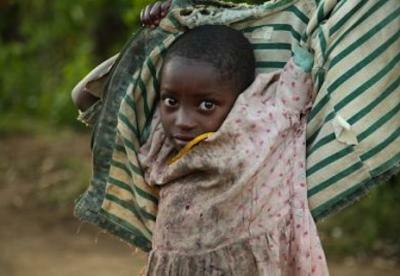 The Malawian government has been particularly lenient in prosecuting those found to be employing children. According to MacDonald Mumba, Plan International’s Malawi advisor, “over the past two years, only 49 farm owners have been prosecuted in Malawi…most received a $34 fine.” Although Malawi is a member of the International Labour Organisation, the government appears to be prioritising the procurement of foreign capital over protecting the rights of the country’s children. Progress in realising the Millennium Development Goals (MDGs), in particular goal two (the achievement of universal primary education), is being undermined as the government turns a blind eye to the 80,000 children working illegally on tobacco farms. Malawi’s potential for reaching goal two has previously been characterised as “possible to achieve if some changes are made”, but if the government fails to redress the violation of child labour laws, further progress will be jeopardised. It must be noted, however, that many of the children working on tobacco farms do so to supplement their families’ meagre earnings. In order to successfully eliminate child labour then, a holistic approach including the eradication of extreme poverty and hunger, must be undertaken. The health of those working in the tobacco fields are also at risk. Due to the lack of protective clothing, many of those working on the farms suffer from Green Tobacco Sickness (GTS). According to the World Health Organisation, symptoms of GTS include “severe headaches, abdominal cramps, muscle weakness, breathing difficulties, diarrhoea and vomiting, high blood pressure and fluctuations in heart rate”. It is estimated that people working in tobacco fields without adequate protection absorb close to 54 milligrams of nicotine per day. That is equivalent to smoking 50 cigarettes. The Malawian government’s continued prioritisation of foreign currency earnings over its commitment to abolishing child labour has serious repercussions. Not only does the government’s leniency directly contradict its commitment to the MDGs, but it also imperils the health of child workers. Abolishing child labour in Malawi will only be achieved through a multilateral commitment that includes the government, the growers and the purchasers of Malawi’s tobacco. on PROPHET BUSHIRI JETS-IN USING PRIVATE PLANEPoor people are always hating...I am not a malawian but you must be proud of Prophet S Bushiri to be your own. South Africa is on map because of him..